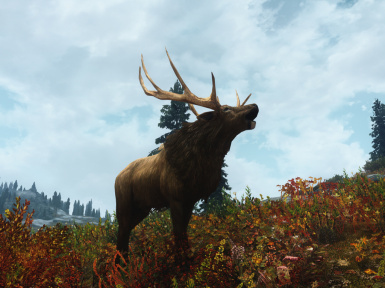 True Elk Of Skyrim or TEOS, is a total replacement of the Male Elk mesh to that of one that is more true to life than what we got with Skyrim. 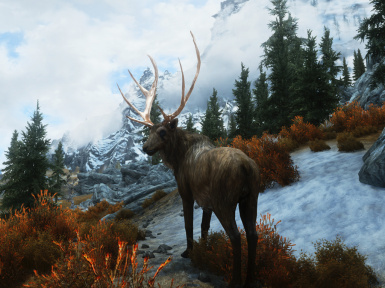 If you want to use or alter the mesh or use it any mod or another game you must ask me first. 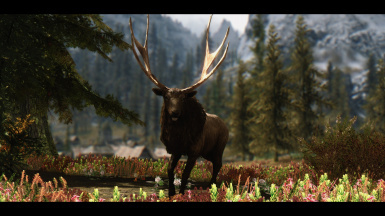 Also theis is a Nexus exclusive, no Steam Workshop uploads. 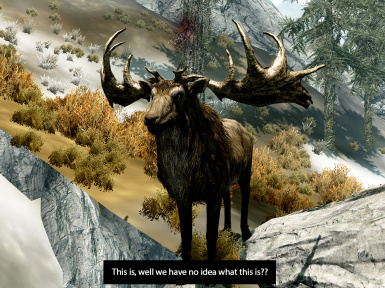 was still not a moose so it still didn’t go far enough to fix the issue. I have been working on static meshes for myself in 3DSMAX for over a year. 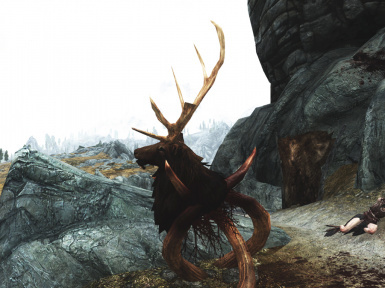 I am not sure how it happened, but I got into a conversation of sorts with oper4ever and he mentioned that he wanted a real elk in Skyrim, ones with real elk antlers. I took the challenge and made the model in MAX, but my knowledge of animated meshes and skeletons was nil, so the mesh did not work in game. All it did was CTD the game. I turned the mesh over to oper4ever because he had someone, KrittaKitty, which might be able to fix it. She worked some real magic and got it working in game. The rest was back to me. 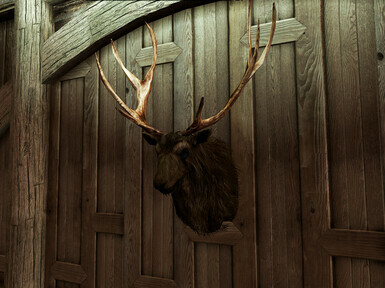 I had to get the antlers uvmapped right and make new textures for them. What you see above is the result of over six months work on and off. 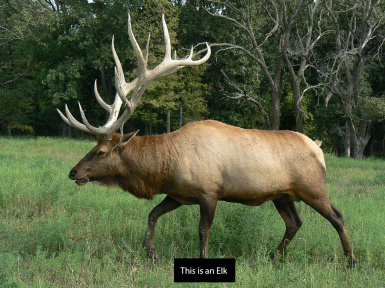 But I decided that just releasing the male elk was not enough. 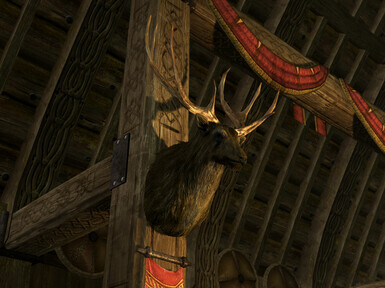 I realized that there were other things that would not match, so I went to work changing out the antlers on the trophy wall mounts as well as the Forsworn/Hagraven statue made of mammoth tusks with the head of an elk in the middle. 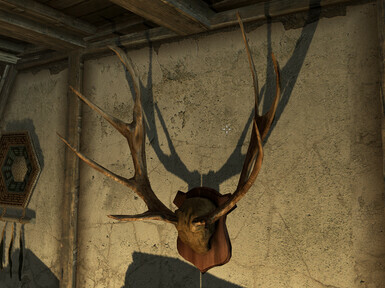 There were other meshes that could also be done, a pair of loose antlers used for ingredients and the deer/elk skulls that litter the game. 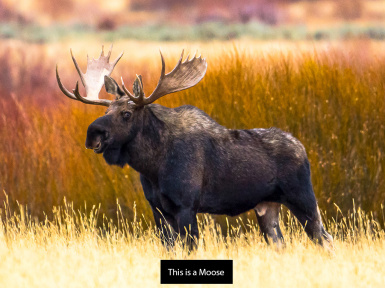 If I get enough requests for it I will convert them as well. 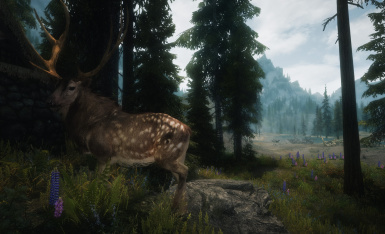 This is my first real mod so I need to take it a step at a time. 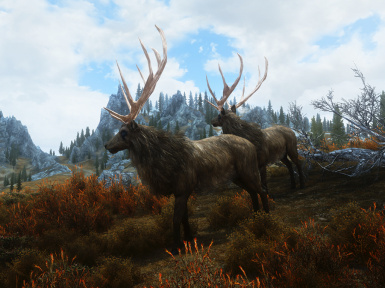 I have also made patches for several other mods that use or add more variants of the Elk to the game. 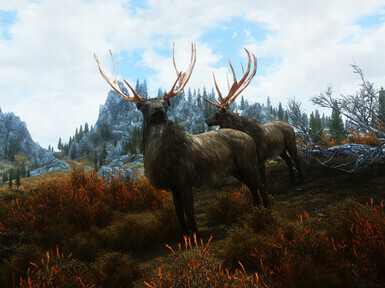 You will find patches for SkyTest, Skyrim Immersive Creatures, and Animallica. 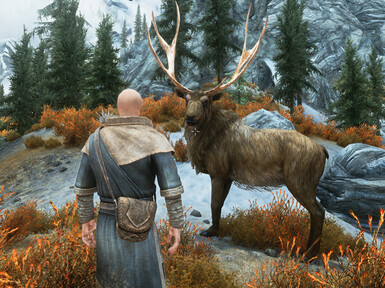 If I missed a mod let me know and I can add it. Big Credits go to: Oper4ever: for constantly prodding me to continue. 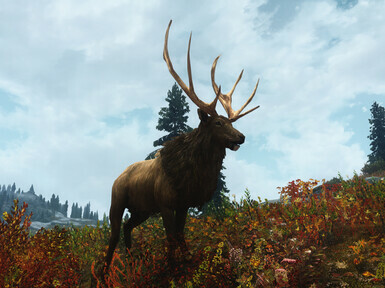 KrittaKitty for bringing the mesh to life, without her this would be no more than an elk statue. Reaper9111 for doing it first and planting the seed to get it right, whether he knows it not. 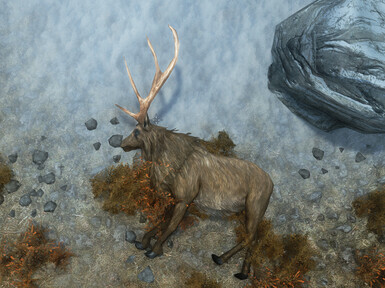 Sunnyemi for her lighter elk texture, which is based on Bellyaches HD elk texture. 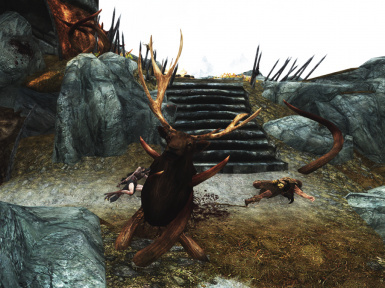 And to SliceandKill, lifestorock, etayorius for making great mods for the game. If I forgot anyone please let me know. Also any and all comments and criticisms are welcome. 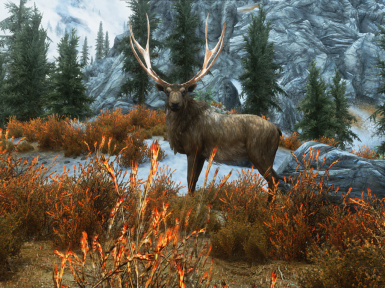 If you take any screen caps and want to share them let me know. 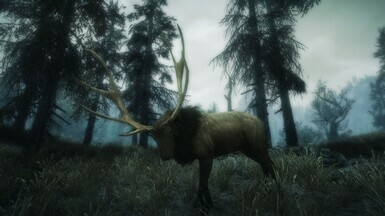 My Skyrim install is fresh and still pretty basic so my pictures are not the best.